I am 59. I work full time as a manager in a busy beauty salon and try to eat healthy. Weight was never a big issue, but my job is pure stress. Being customer facing every day as well as running the business is exhausting. When I heard about the testing of this new smart detox, which was supposed to help combat stress I decided to take part in testing, despite being a coffee lover. I never could fathom that a cup of tea in the morning can wake me up and energise me as much as coffee. Surprisingly from the very fist day I felt like Absolu Plus was made for me! I felt in control, focused, energised, yet calm and composed. After a week I saw changes in my skin, looking in the mirror. It became more supple and moist. There were days when I would forget my magic tea and grab a quick coffee instead but I knew by the change of how the day went that I was missing something crucial. Now it is a part of my routine and my staff knows how to brew my favourite cup of tea. Thank you Transformitea! I am 35 and am a mother of 2 small kids. I work part time as a PA to the MD of an investment company and try to juggle family and work. Nothing beats a cup of green or black tea for me. Lemon and honey, please, no milk. I chose to test Absolu as a milder detox. Drink it now from morning till about 4 or 5 in the evening in the office and an odd day at home. I think replacing my usual tea with smart teatox gave me more motivation for the day. Feel great. I am not as exhausted in the evenings as I used to be and manage to squeese in more quality time with the kids. I also noticed that my clothes are not as tight as they used to be, although I did no other changes to my diet. Absolu smells and tastes amazing. I tried detoxes before but they never really worked. I had upset stomach from some popular teatoxes. So I am very cautious now. It certainly does help with concentration and suppresses cravings. In my work we always have sweets lying around the place and it’s hard to resist snacking. I managed to stop snacking now. Every time feel hungry between meals I have a cup, ordered some more really works for me. This smart tea is fantastic! Definitely helps with weight loss, fixed my stomach too! Feel so refreshed and with my daily workout is so helpful! I changed from a senna-based detox and you would not believe the difference, absolutely love it and will be my go to product! Amazing!!!!! I bought Nuit because I knew about the benefits of Triphala and took it as a tablet in the past. I also knew about valerian and hops mix being good for sleep but never saw it together in a tea so decided to give it a go. I also decided to get my money’s worth and do a diet together with taking this tea. The result was astonishing for everyone: I lost almost 12lb drinking this tea for a month and am determined to stay slim. It did exactly what I expected – I got a great sleep after a cup of this tea. It smells very earthy, has a lovely mild herbal taste. Now my sister is also raving about this tea because she was always an insomniac and impulse eater fluctuating between sizes 6 and 10. We both can see a difference in cravings, I am eating far healthier and after a month without bread or pasta it is now very easy for me to say “no” to temptations. I am 42 and run my own fur business. I am also a coffee addict drinking 4-5 cups a day. Every day throws up a challenge. And I don’t have anybody fighting my battles – I am a single mother so I have to stand for myself. For years I have struggled to fall asleep and at some stage I had to resort to pills to calm down in the evening and get some rest. When a friend mentioned to me that this Nuit tea helped her I bought a pack to try without much hope. I have to say – this is a life changing product. Not only have I forgotten when I last took my sleeping pills last, it has also visibly improved my skin. I was a little concerned that as a detox it might have certain side effects which would impact my busy life and tie me to the loo, but no such thing. It does help stimulate digesting but no runs. Thank you, Transformitea. I will be ordering more! I am a nurse so I know a thing or two about healthy lifestyle. You are what you eat and when we are busy in the clinic I sometimes have little or no time to grab a lunch so I used to skip meals. Instead of that I would eat more in the evening when I came home and I noticed that recently I started to put on weight. I was no longer able to fit into my old uniforms and that was a sure sign – something was wrong. Absolu Plus was an easy choice – I like tea and reading through the ingredients I did not see any harmful ones. I tried to make it into a habit but the first week was hard as I resolved to eat only 3 times a day and not to overeat in the evenings. Result: 9lb down in 1 month. Planning to switch to Absolu for a month now as per recommendations. I started drinking Absolu Plus because during my time at university I piled on a lot of weight. Studying while living on a campus means a lot of late nights and a lot of fast food. In spring 2017 I was already 78kg (height 173cm) and looked at my summer wardrobe in horror – it was all too small. A friend told me that Transformitea was offering a free trial period for their premium detox. I always wanted to try one but was afraid because I saw how other girls had cramps and other unpleasant side effects from a different well know brand of teatox. I was concerned that I might have the same problems with this tea. I had no problems though. I am 34 and work in a busy legal practice. 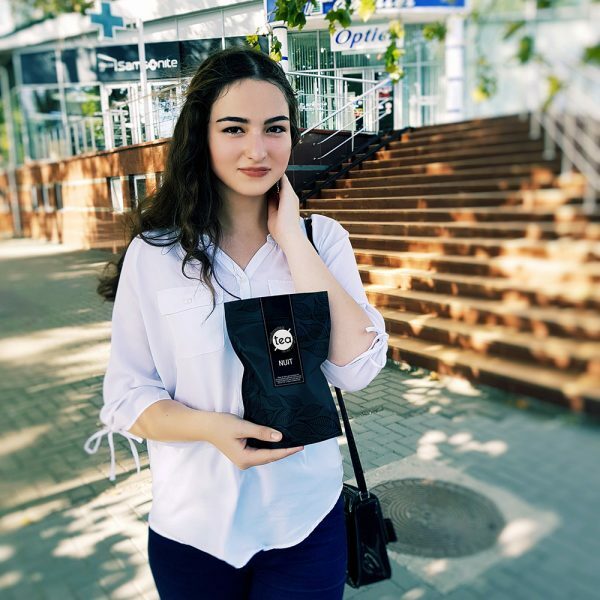 I chose to buy Transformitea Absolu because I was getting married in September 2017. We decided to go to Mauritius for our honeymoon so like any other girl I felt the pressure to be picture perfect. I was drinking Absolu in the morning and did not feel hungry during the day. I also noticed that I was making less mistakes and was much more focused than before. 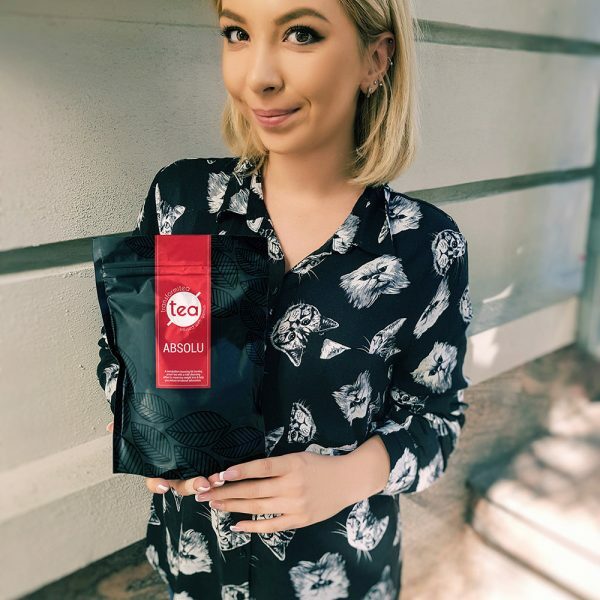 I liked the taste and the packaging, the tea smells fabulous and you can really feel it’s good quality. The best outcome: my skin is very sensitive to makeup and easily breaks out in spots. During the months when I was drinking Absolu I was positively glowing and not a spot in sight! Since I was a teenager I had weight issues. 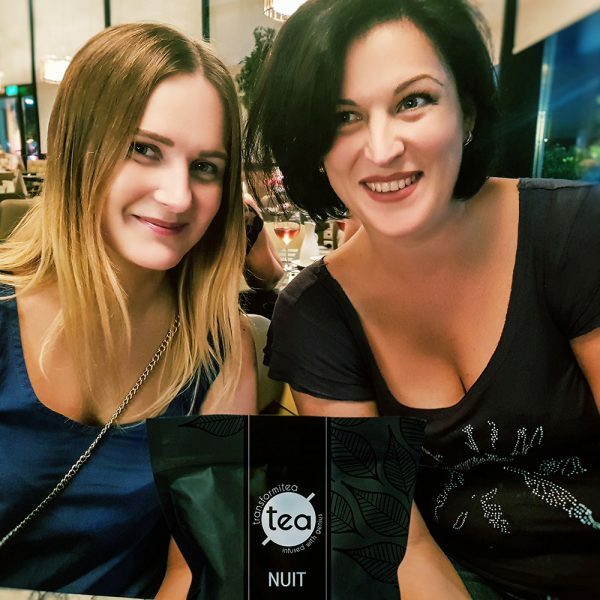 I love fizzy drinks and sweet treats so drinking green tea was not a welcome idea, but my mum tried this Nuit tea and told me it had no tea in it – just some herbs. At first I did not like the taste as I am used to sweetened drinks and I had to add honey to make it more palatable. After about a week I got used to the taste and tried to stop adding honey. I also increased the brewing time. I noticed that it did reduce my bloating and helped my digestion, but I did not expect to lose weight too – it sounded too easy. I did not change my diet much – maybe walked a bit more because I felt more energised. I went to bed maybe a bit earlier and I definitely slept better. After 4 weeks I noticed that my favourite jeans were hanging off me. Conclusion? I am buying more of that tea!